``World Wheelchair Sports - Opening eyes to a world of possiblilities"
World Wheelchair Sports was founded by wheelchair users in 1990. Our staff includes athletes and coaches from US Olympic & Paralympic teams. We provide outdoor fitness opportunities and competitive athletic experiences for those with disAbilities. 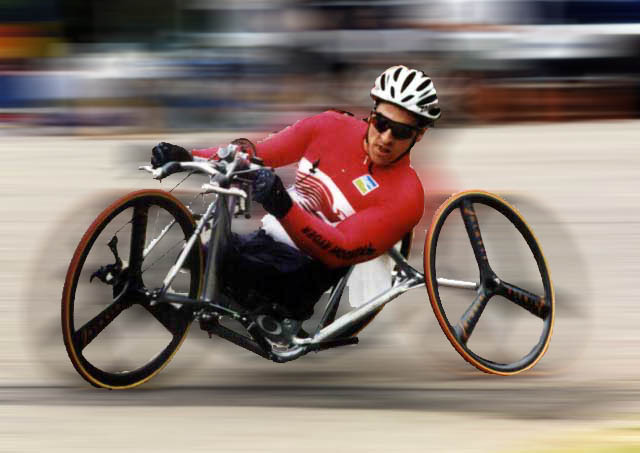 Contact us @ : World Wheelchair Sports or by telephone at 541-485-1860.